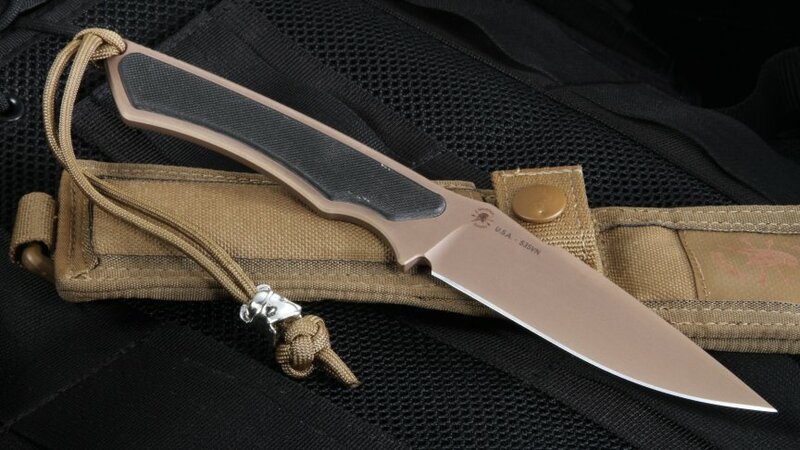 The Spartan Blades Phrike is named after the Greek Goddess of Fear, it features a compact 4" stainless CPM S35VN Steel blade with a physical vapor deposition process of Zirconium Nitride (ZrN) which is known as Dark Earth SpartaCoat. 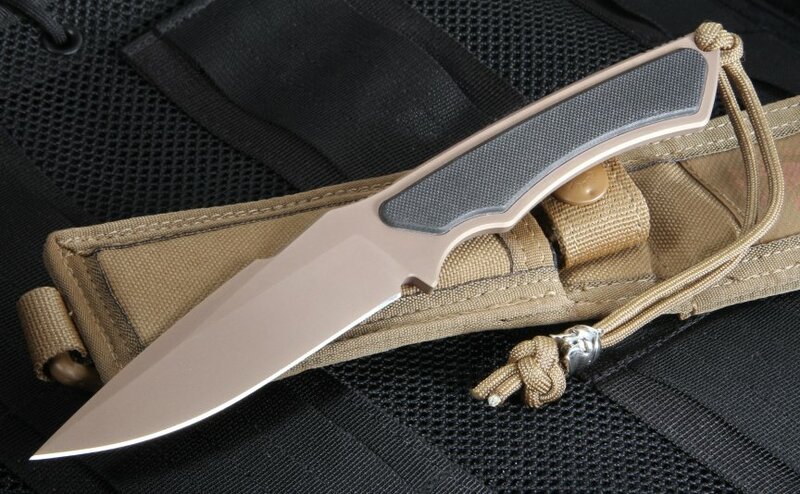 This coating is non-reflective while keeping the 58-59 Crucible S35VN stainless steel protected, the blade has a thickness of 3/16", and the handle is black textured G-10 for a total knife size of 4". 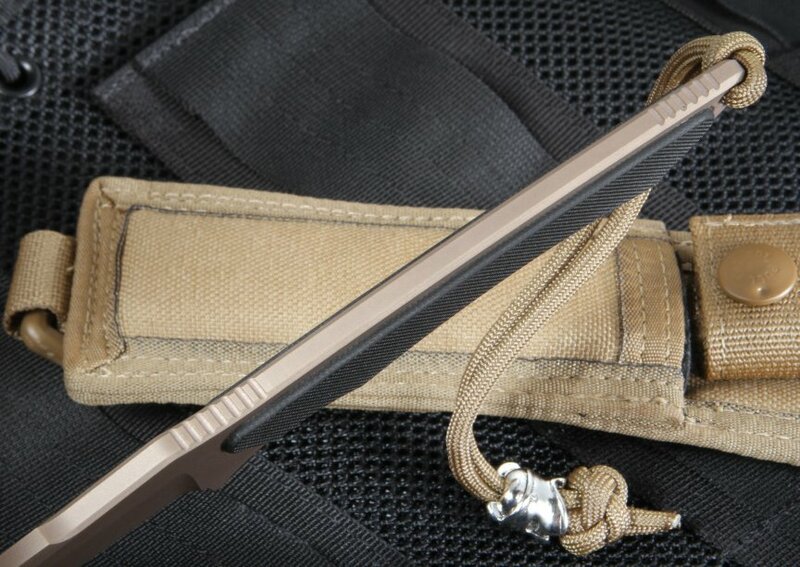 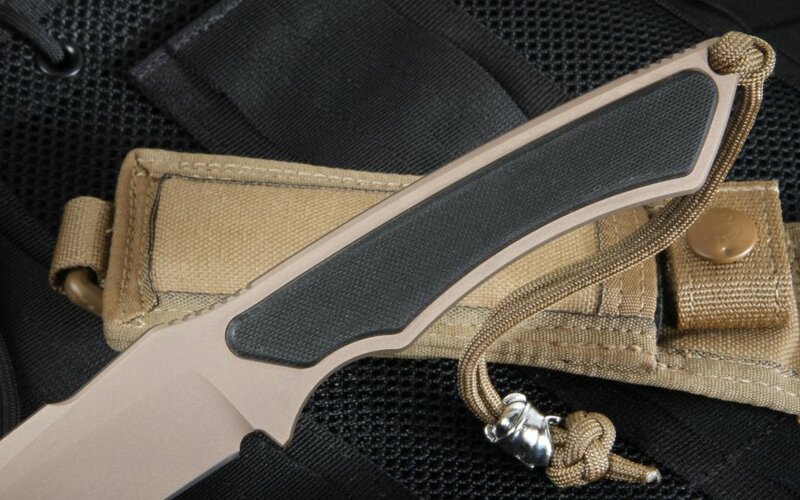 This self-defense and utility knife features an attractive tan nylon MOLLE sheath with a lined insert, a secure grip with the filed thumb ramp on the top of the blade, and an exposed tang in the rear which has a lanyard hole and lanyard. 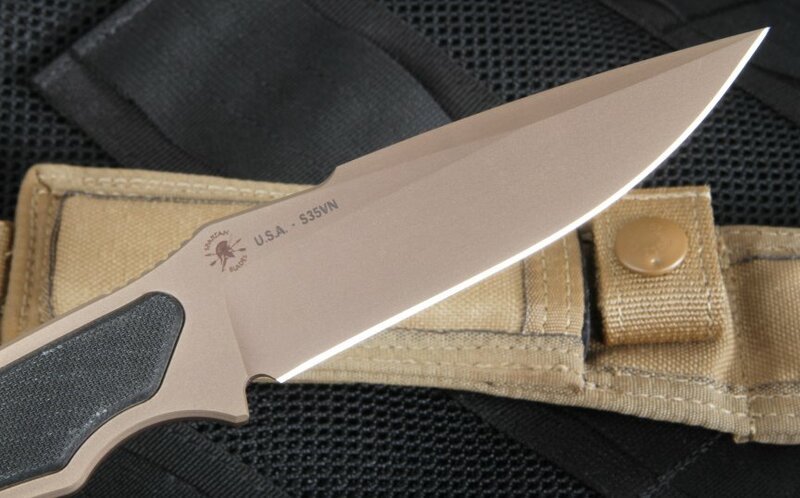 This is an American made knife that had its design input from government agencies and the Special Forces. Final design by Curtis Lovito and Mark Carey, whether you use it for tactical purposes or utility purposes, the Phrike is a formidable knife with a look that is unique, classy, yet meant to strike fear when needed.